Cuba has been, and continues to be, devastated by Hurricane Ike. The only thing, and without question the most important thing, that hasn't been devastated is the will and determination of the Cuban people to surpass this disaster and go forward. There's lots of information circulating in the international press about the extent of damages. But there are perhaps a few things that haven't, and it's these I want to briefly mention to give you an idea of the extent of damages. as I write this - under Alarma Ciclonica (Hurricane Alarm) due to the intense rains and tropical storm winds that are still hitting the province. All of the province's 14 municipalities are suffering, but the two municipalities of Los Palacios (south) and Las Palmas (north) have taken the brunt of both Gustav and Ike. The eye of Ike has left Cuba, but the body is still kicking strong. Imagine: as of about 4pm, it's slowly growing in size and intensity. Sustained winds of 150 kph. Still category 1 but category 2 starts at 154 kph sustained winds. Its bands of tropical storm winds and rains extend 335 km (radius) covering all of Pinar del Rio with rains reaching to the western part of Camaguey province in central Cuba. And we're being told to brace for another 12-24 hours of rains. In Habana, we're still getting occasional gusts up to over 80 kph. All western coastal areas have been evacuated due to inundations. Last night, for instance, ocean waters penetrated two km inland in the Batabano area, on the central southern coast of Provincia Habana. As of 4:30 yesterday afternoon, over 2.5 million people - or almost 21 percent of the country' s population of some 12 million - have been evacuated. And the number is slowly growing, as rivers that have never flooded before leave their banks, fattened by torrential rains, and dams that are fill and spilling over contribute even more to the flooding. 2.5 million! In the 17 years I've been in Cuba, including through many hurricanes, I don't remember that many people ever being evacuated before. That's an immense undertaking involving organization, coordination and cooperation. Significantly, over two million of these people were able to get shelter in the homes of family and friends, yet another indication of the incredible solidarity that is an everyday functioning part of Cuban society. The damage to food crops as well as export crops is extensive. In Villa Clara, some 70% of plantains - all kinds - have been knocked down, with maize, papaya and yuca also seriously affected. In Holguin, plantain, yuca, vegetables and beans have been affected. In Santiago de Cuba, damages to plantain, yuca, maize, plus sugar cane has been burned by the winds. Lots of coffee beans have fallen off trees and, weather permitting, they'll try to save what they can. In Ciego de Avila, a strong producer of plantains for the entire country, the greatest damage has occurred in the agricultural sector, in particular - but not only - to the plantain crops. In Cienfuegos, plantain and sweet potato are affected, as well as vegetables and citrus such as grapefruit and oran ge. The one crop that hasn't been affected is malanga - a tuber kind of like potato. And they're trying to recuperate coffee beans that have fallen on the ground in the Escambray Mountains. The same in Baracoa and Maisi, both in Guantanamo, which are key (actually, the main) coffee-producing areas in Cuba. Housing has been seriously affected everywhere. For example, preliminary reports from Holguin indicate that over 150,000 houses have been affected, of which 37,000 have been totally destroyed. The province of Las Tunas says that nothing like Ike has ever hit the province during the last fifty years. In some municipalities, 80% of the housing stock has been affected. I can't even begin to estimate how many hundreds of thousands of houses have been either damaged or destroyed on a national scale! The final numbers are bound to be high. And the rains! That's the most serious part of Ike right now, even more than the winds. In the Escambray, over 500 mm has fallen in some areas. Some communities are still incomunicado due to roads blocked with trees. But before Ike arrived, experienced personnel, including health specialists, had been sent to these mountain communities, along with additional food stocks, in anticipation of such problems, as Hurricane Fay, which affected Cienfuegos just before Gustav, had already affected electricity networks in the Escambray. The beautiful area of Las Terrazas, in Pinar del Rio - which many of you have no doubt visited, got over 400 mm of rain in the last 24 hours, as have many other areas in the province - and elsewhere in the coutnry. Pinar is completely without electricity. Vinales and many other areas are completely incomunicado. 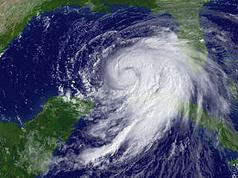 To the imapct of Gustav is being added the impact of Ike. Some people in Pinar del Rio were even asking if Ike is returning, as they're without communication or up-to-date access to information and the rains seem worse than before! Everywhere in the country, dams are full and overflowing, causing inundations - still - in low zones, which are fully evacuated. In Las Tunas, before Ike passed, the province was experiencing a drought, with dams only 50% full. Now, all dams are spilling over. A first: the Bulgara Dam in Camaguey, built 22 years old, has NEVER been full, but now, after Ike, it's full and spilling for the first time since it was constructed. And this story is repeated everywhere. Also, for the first time since it was built, the carretera central, Cuba's main central highway, has flooded. For those of you who know Cuba, the flooding covers a 3.5 km length at Aguada de Pasajeros, where the central highway - that is the main road link between west and east, crosses with the main highway from Cienfuegos in the south to Matanzas in northwest, is so full of water that all traffic has been stopped, and it's anticipated that it'll be closed for at least three or so days. This has never happened before and the images are impressive! Flooding has been caused by overflowing rivers in the area, that have never flooded like this before now. One bit of very good news, though, to come out of Cienguegos is that the new "more hurricane proof" houses that were built to replace coastal settlements that had been completely demolished by Hurricane Dennis (2005) were able to withstand Ike. This is very good news indeed! Jose Rubiera, the head of Cuba's weather forecast department, was asked if Cuba has ever had a hurricane that has touched every part of the country as has Ike. He replied that Hurricane Dennis (2005) entered Granma and then blasted up the centre of Cuba, but that the eastern part of Cuba has never had a hurricane as strong as Ike. Flora (1963) also affected a great part of Cuba, especially the east, but it was more rain than wind - unlike Ike which has been both plus heavy coastal inundations. Assistance is coming from everywhere, both inside and outside the country. Examples: Santiago de Cuba has sent brigades to help Baracoa and Holguin. Camaguey, which has brigades in Pinar del Rio who went there after Gustav, has told those brigades to stay put and continue to help reconstruction efforts in that sister province. Camaguey, which has gone at least 25 years without being hit by a hurricane of this magnitude and which says they don't have the same experience confronting t hem as does Pinar, has reached out a very substantial hand of solidarity to los pinarenos. And from overseas. You already know about the assistance from Russia: food, huge tents, construction materials. And $500,000 from poor little Timor Leste. Mexico is offering aid in housing and electricity. Uruguay is making a call to the international community to help Cuba with foods, medicines and construction materials. Brazil is putting together an interministerial Assistance Group to help both Cuba and Haiti. After Gustav, solidarity and offers of help were already coming from China, Venezuela, Bolivia, Argentina, Spain, Brazil Mexico, Guatemala, the Cayman Islands, Peru, Santa Lucia, etc. Cuba, that has the will and determination, will indeed need a great deal of material assistance for their reconstruction efforts. As Cubans themselves, as well as the authorities, no corner within the country is too isolated, no loss too great, to not get the necessary response. Tonight, on Mesa Redonda (Round Table) on TV, we'll be getting more detailed information about the extent of damages in the different provinces. They're still preliminary, since there are still so many areas incomunicado. But information is already coming in. I started this email at 1:30pm. It's now 4pm. At 1:30pm, my area finally got electricity back. But many parts of the city are still without electricity. Calle 23, that main street in Vedado, has lots of tree limbs down a nd lots and lots of electrical wires. We're still having high gusts of wind. It's too dangerous for linemen to go up the posts, so full repairs will still take a while. Then, at 2:30pm - only one hour to try to get my fridge cold again so that food won't spoil (everyone has this same concerrn) - a torrential storm began. Lightning and very loud thunder. I had to shut down the computer as my dining room window was leaking terribly because of the angle of the rain and the force with which it was falling. My two kitties, Mariposa and Luisito, were terrified! The electricity has gone out again and I'm finishing this up and sending it out on battery. So once again, I don't know when I'll be sending the next one. It's important that you know, though, that whereas Ike's eye has left, we're still very much under the winds and rains of this hurricane. It's immense! Haiti got rocked just as bad. Probably worse.